These beautiful sunsets were photographed en route from Sydney to Dubai in January 2014, taken just after passing the coast at Port Hedland on the Australian north west coast. Click to see them in higher resolution. Many airlines are now using iPads and other “tablets” to display in-flight publications and charts and to calculate takeoff, landing and cruise performance. and almost all the way towards the ultimate …. paper-free environment! 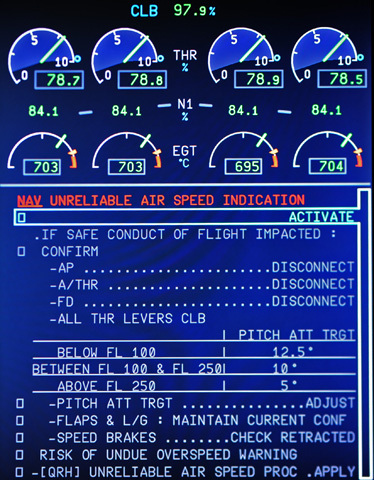 The “Std” displayed in the top panel indicates that the altimetry systems are referenced to the ISA standard atmosphere. I was shocked when I saw “RAT OUT” message – for all the reasons at page 252.
m and intelligent reasoning is always required. I am 12 years old and have just finished reading your ‘QF 32’ book. On the last line of the book. It says you didn’t pass but you still fly. Anyway, what is the name of the other boom you wrote? I am writing a book on resilience Yota. It will be released in late 2017. I am really proud to be your friend. I have gone through the photos,information regarding QF32. The photos are excellent. You have given excellent photos and information. Just have finished Your QF32 book – excellent! Very strange for me was the last sentence – “I did not pass” (check flight). WHY???!!! What was the reason you failed this check? The only reason – I suppose – is that you did not perform many normal flight procedures but mostly emergency procedures – am I right? Any way you still fly A380 and this is right! Congratulations for excellent job you have done with your Crew and Instructors! Thank you for your kind thoughts. Yes I am still proudly flying the A380, the most modern and remarkable jet passenger aircraft in the sky. Thank you also for your credit to the crew and instructors. The QF32 flight was a great example of teamwork and I am forever indebted to the other pilots and cabin crew that performed brilliantly that day. I am proud of them all. Well done Richard. This is a great web page and you did a great job on QF32. I am a 12 year old and when I am older I want to fly A380s for Qantas. I’ve too just finished QF32 on the way back from Adelaide to Sydney and return (flying QANTAS of course). Thank you for such a well written and thoroughly absorbing book. I’ve been a plane buff since I was 10, now 51, and have always had a soft spot for QANTAS. Having read your book I can only say that I now have greater confidence in the men and women who keep us safe in the air. I have just finished reading QF32. I had to read it slowly to absorb details, but from the moment I picked up the book I knew I had to read it. Wow what a read! Talk about life changing decisions made in that cockpit. Do you not think with so many things that went wrong, that the designers should re-think some details of this plane’s layout of wiring etc. I think you are a great pilot and and even better man, you have all my admiration. Thanks for the kind words. The ATSB report is still not out (2.5 years after the event), which proves how complex and extensive the problems, investigations and possible fixes are for the certifyers, regulators, designers, builders and operators. Massive. Amen on your point 3. It appears to me that your military experience was incredibly useful in dealing with a failing aircraft. 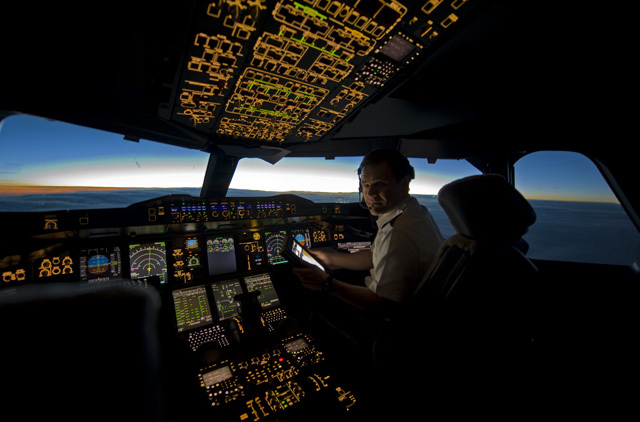 Would a civilian trained pilot be able to bring the same insights to situation like QF32? If not, could you point out any publicly available information sites that detail their architectures and operations? The problem we have been discussing – IE how do you present/operate/troubleshoot a system differently when it is outside it’s normal operating range can apply to any complex control application. It is rare in my world for Users of a complex system to be trained in how to effectively troubleshoot it, and allow it to continue to operate under “unplanned” scenarios. Most design effort is normally to make the system “idiot-proof”. You have done a great job in convincing me (both in word and deed) – that Aviation is different. Even NASA (with its engineering culture) – tended to try to hide the design details from the astronauts. Thank you for your long an thoughtful reply. I am struck by the fact that just identifying the situation as a “black swan” event is more than half the battle. At that point, you would have the moral authority to abandon “standard operating procedure”:, and then embark on alternate but systematic means of analyzing and then stabilizing the situation. However, this comes against the age-old question of who do you trust more? The proven SOPs or the judgement of the “man on the spot” who wants to throw away the book? Do you feel it could be possible to create protocols and procedures for abandoning SOP (ie, ignoring the ECAM checklists), and training pilots in alternative processes (like those used by test pilots) that allow you to iteratively and safely explore the space of possible solutions. You did this yourself in QF32 when you inverted the logic, tested the controls, and rehearsed the landing at safe altitude. 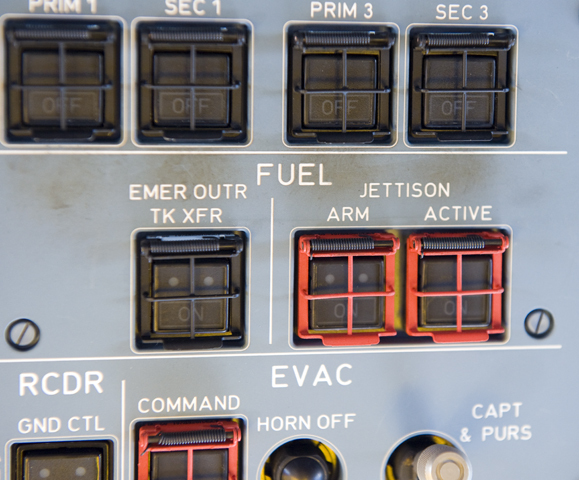 Is this practical for anyone but test pilots – given the rarity of “black swans”? Barry, are you suggesting that there should be prescriptive actions to follow in the case of the Black Swan event. I believe that you cannot, because the Black Swan event that you perceive, by definition, puts you outside the realm where your SOPs apply. Remember that SOPs means “Standard Operating Procedures”! 1. Only the observer can decide whether an event is a Black Swan event or not. A turkey has a Black Swan event when his head is unexpectedly cut off. The person eating the turkey does not experience a black swan event. The Twin Towers collapsing was a Black Swan event to all but perhaps Rick Rescorla, Morgan Stanley’s security manager who had prepared his own procedures for that event. In fact Rick had warned Morgan Stanley of the probability of the tower impact and collapse years before it occurred. Rick was so prepared for this contingency that he sung the bullhorn “Men of Cornwell stand ye Steady” as he directed his staff to descended the stairs (whilst others in other areas froze at their seats). Rick called his crying wife between his evacuation songs to tell her to stop crying – that he was in control. 13 Morgan Stanley workers died when the tower finally collapsed, including Rick and 4 security officers. The remaining 2,687 other Morgan Stanley workers survived. There were no SOPs for the twin towers collapsing from an aircraft impact, except in Rick’s mind. Thousands of Morgan Stanley employees owe their lives, not to SOPs but to Rick’s extreme knowledge, training, experience and leadership. 2. Civil Aviation Regulations 224 states that the Pilot in Command (PIC) is responsible for the flight, operation and safety of the aircraft, persons and cargo, and the conduct and safety of the crew. In fact the PIC has the final authority to the disposition of the aircraft while in command and for the maintenance of discipline of all persons on board. These responsibilities endure from the start through to the end of the flight. Notice that CAR 224 does not discuss ECAM, Black Swan events, SOPs or any other factors affecting flight. The PIC has simple but extreme responsibilities that apply and transcend any external influences, even during black swan events. The PIC in an aircraft has absolute responsibility for their passengers and crew – and absolute authority to do everything in their judgement to effect that safety. 3. Pilots have extreme skills that should never be taken for granted. All pilots take on the same responsibilities and need the same piloting skills that require considerable effort to acquire, maintain and deploy. We do not separate pilots such that there are test pilots over in one corner who can survive black swan events, and normal pilots over in the other corner who cannot. All pilots must be knowledgeable, well trained, experienced, and well versed in teamwork and leadership. They have to know the SOPs for standard procedures. During the Black Swans that are outside the protections of SOPs, the pilots must also have sufficient skills to remain confident, assess risk, be courageous and to make the tough decisions that will lead their passengers and crew to safety. I have just read and greatly enjoyed your book. It seemed like the flight crew spent enormous effort dealing with ECAM checklists that were not particularly useful or helpful. 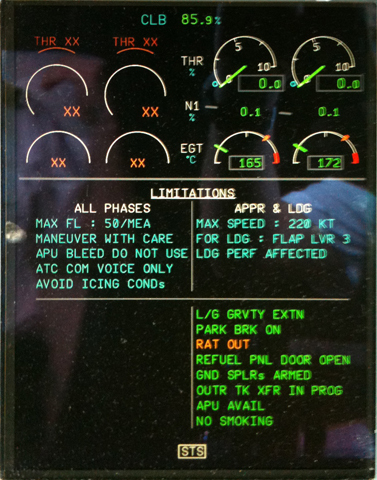 I work with control systems and software (though not in aeronautics). I can’t imagine how a complex AI-like system like the A380’s ECAM system can possibly be useful if core infrastructural components like cable bundles, network busses, or controllers are damaged. 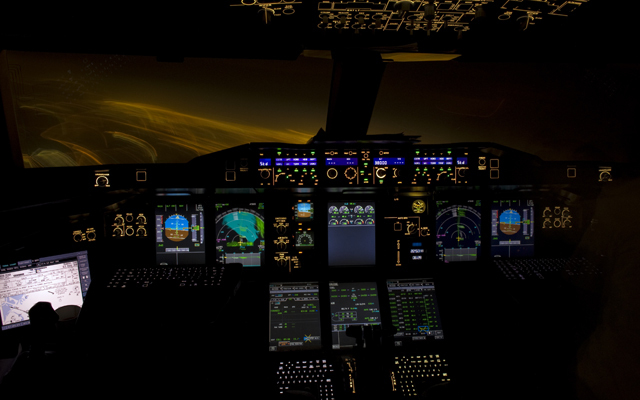 The fact that it’s been impossible to reproduce QF32’s behaviour in a simulator speaks to me (as an outsider) that those core components aren’t considered points of failure that lead to issues in multiple disparate systems.. 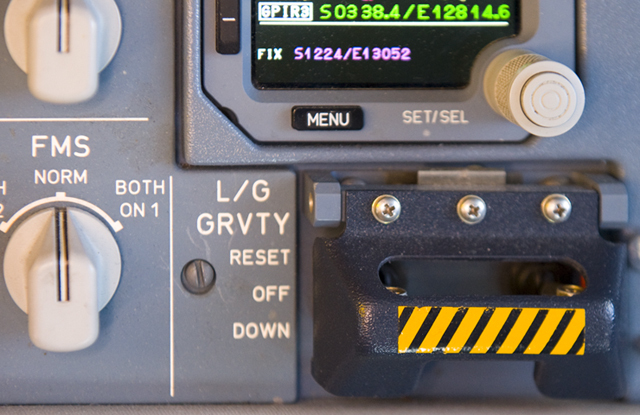 Does Airbus have any “modes”, or “laws” for situations when the “networks” are broken, even if the sensors, actuators, and the underlying equipment (e.g. pumps) are still functional? Your own Apollo 13-like approach of identifying which “lowest-level” devices/sensors/actuators are functional, and then rolling this up to compute which high-level control modes can be used with confidence – is a much better approach when you doubt the basic integrity of the control datapaths. I liked your analogy of building a “piper cub” from the raw bits- Could that not be implemented as part of any failure regime when cable bundles are cut or burned? Barry, your comments are all valid, however we would need many more volumes of QF32 to discuss them all. The only specific answer I can give is to your last paragraph. Both Boeing and Airbus test pilots are personally interested to research processes that “reverse the logic” as per Apollo 13. While automation is never perfect, this is not necessarily bad news. For the unfortunate victims that find themselves immersed in a Black Swan event (where we enter the twilight zone of living the “unknown unknowns”) the dynamic human skills of knowledge, training, experience, teamwork and leadership will always trump the automated systems and processes that have probably failed. Automation from a human interface perspective is still in its adolescence. The discussion of providing reliable and efficient human interfaces to automated and complex equipment is technically as challenging to workers in nuclear, power, aviation, mining and military industries as it is relevant to a child playing a computer game. 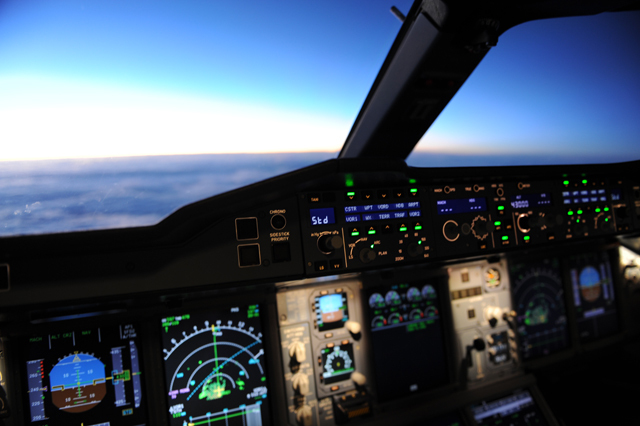 The QF32 story provides lessons and food for thought for everyone in automated industries. I am heartened to meet people in these industries who actively discussing the QF32 event and who are keen to extract the “pearls” that apply to their specific interests. It’s a contentious topic that discusses the costs-reliability-benefit of humans versus machines. At the end of the day (at least for the next decade), computers and machines are efficient for repetitive tasks but are devoid of a consciousness and awareness. Machines need continual power input. Humans beings are the opposite. As the computational and structural capabilities of computers develop, I can envisage a point in about twenty years time (Kurzweil 2012) where computers-machines-robots will be capable of learning and developing consciousness and awareness in processes similar to those we see in humans. It’s at this point that the human-machine interface could become blurred. Airbus and Boeing are already thinking about designs for aircraft that will not fly until the 2030s. Their futurists must be considering a remarkable range of technologies that I am sure would shock us today, but nevertheless be nonchalant by the time the aircraft enters into service. In this reply I have avoided addressing all specific failures in the human-machine interface. The issues raised after the QF32 event go beyond just answering isolated failures. I’ve over-viewed the challenges of human-machine interfaces and laid out a possible and wonderful future landscape. We have to be patient, but also aware that aviation, which operates in dangerous and unforgiving environments, is also one of the world’s safest technical industries. The safety record provides proof that despite the threats we operate in, and the occasional black swan events that we face, that the human-machine balance in aviation is profoundly safe. In a world challenged by many “unknown unknowns” (black swans), it’s also good for us all to be positive to identify and recognise the “known knowns”: Safety and the extraordinary career opportunities for Mechatronic (mechanical, electronic, computing) engineers. Hi Rich. I have no knowledge regarding aeronautics, but I was wondering if a steel cable netting wrapped around the jet engines (like elderly ladies wear on their head) would have stopped parts of the exploding engine from flying around and causing so much damage, could have contained the flying debris within the net! Just food for thought. 1. Increased Weight (equals increased fuel equals less cargo, equals increased cost). 2. Performance. Wires create phenomenal drag for their cross sectional area, which is why you never see wires or rods protruding into the airflow unless strictly necessary. Drag is proportional to velocity squared, so the effect is very different to putting a guard around a boat propeller. I guess that the aircraft’s drag would increase by 20% with your (small) change! 3. Cost benefit. The cost to implement this for a gain once in 40 years (in this case) is not cost efficient – it’s better to accept (in the worst case) a single engine failure and then rely on the spare engines. The photos are fantastic. 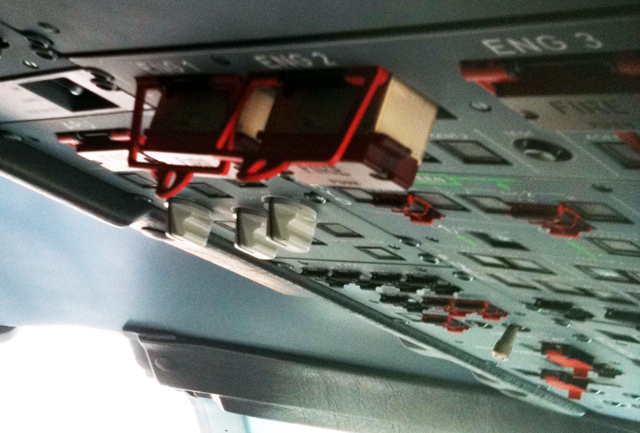 I love looking at photos of the business-end after doing my Airline Transport Pilot’s Licence (ATPL) studies in 1995. The CPLDC is interesting. 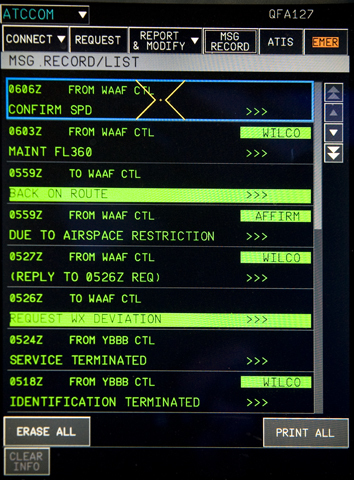 There are many websites devoted to CPLDC and ACARS data. I spend hours reading these HF (High Frequency) data messages. (For anyone interested you only need a PC HF Receiver with 2.8Khz band width RX and an audio interface for the PC to receive the data stream). I have some of the message data that was broadcast that day in my archive. Interpreting it is a complex game and I only have a basic decoder. I also receive-store ACARS data (a VHF System similar to the CPLDC). I appreciate the dilemma of having an engine that runs-on after being commanded to shut down. I guess that indicated the degree of damage to your wiring looms. During my ATPL studies I remember wondering what would happen to a Turbine Engine when control is lost. QF32 answered that question! What is the figure above the engine display in the first photo. “CLB 85.9%”? Thanks again for the book and the great Imagery. If the engines were running, and the auto thrust system engaged, then the auto thrust system would provide up to 85.9% of full thrust. This configuration is irrelevant in the context of the phase of flight when the phot was taken (engine shutdown and on the ground). QF32 was a great read. It demonstrates what a remarkable aircraft the A380 is and the brilliant job you and your crew did getting Nancy Bird back on the ground. I can’t believe how smooth and quiet they are for such a big aircraft. It was a pleasure to meet you aboard the A380 flight back from LA in October. I hope to catch up with you again on my next trip in 2013. 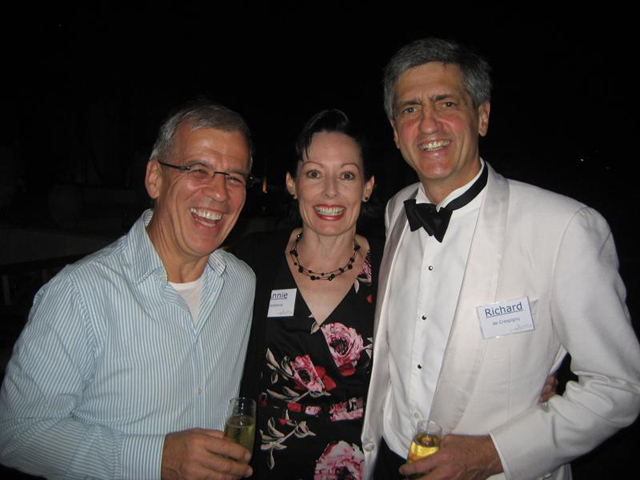 Hi Richard, I remember seeing the news reports of QF32 at the time, and to read the real story was amazing, couldnt put it down. Your leadership and amazing skills were what saved that plane, and that of your team of course too. Have to say that I’m jealous of your kids though, with flights in the Hornet, and sim visits 😉 Now I’ve come to the site and seen all the extra bits. Any time I fly QF, hope its with you at the pointy end. 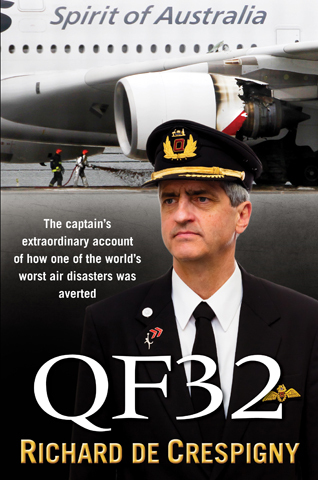 I purchased QF32 as an eBook from iTunes and thoroughly enjoyed it. What you and your crew achieved on that day was incredible. Like Mohammed (previous poster) I too would like to know if you are still flying the A380 after failing to pass your check flight. 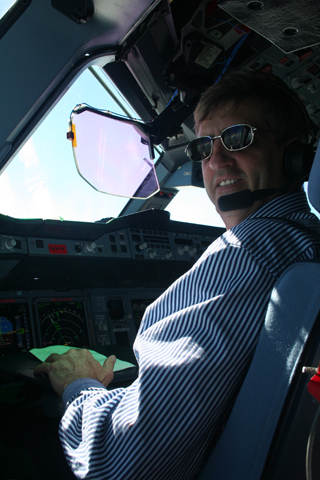 I am flying Qantas next month (747, 767 & 737) and as an aviation enthusiast am very much looking forward to it. Once again, kudos on a job well done. I work for Airservices and am part of the safety team. I loaned QF32 from our library and read it on the way to Melbourne from Brisbane. It was really informative. In fact at times it made me stop and listen to changes in the sounds of the engine to see if I could pick on something. I have a brother-in-law who flies with Air Pacific in Fiji and all the time I was thinking of him. I will recommend this book to him. The passengers on the flight back from Melbourne to Brisbane were shocked when I yelled… at reading and discovering that “you did not pass”–I wondered what element you did not meet up to. I hope that there was no stand down as a result. Can you confirm that you still fly rich? I am certainly keen on reading more in the ATSB report. Many of us who enjoy aviation, have wonderful childhood memories of the captain ‘ruffing up’ our hair as a result of being allowed upfront. This privilege was taken from us all just over 10 years ago resulting in us all being locked out. Now however, through social media, amazing sites such as http://qf32.aero and Richard’s photos we are finding our way back in. By the way; I always find that when the flight is finished and the forward door is open, and all those anxious people have alighted, the flight crew are still there and happy to show me how things have changed. Click here to see my great photo I have at work of my 7 year old daughter in the Captain’s seat of a QF 737 with his hat on, the instrument panel is alight showing landing speed of 150 knots ILS set to 222 for R23 YPAD. That, and the initiatives of pilots such as Richard, is how the crew ‘keep it alive’ for the next generation. Great site, and great photos Richard. There is nothing like the passion and drive that permeates all who participate in the aviation industry. It’s only 108 years since powered flight – but the thrill and excitement continues for all of us! Excellent read. Finished the book in 3 days. 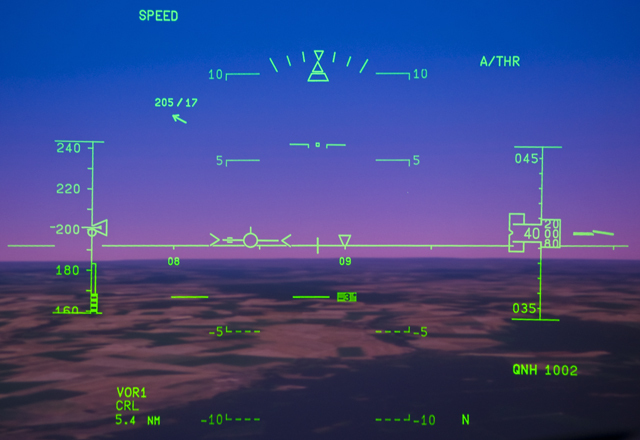 As an avid flight sim fanatic and electric jet fan, I really enjoyed the detail engaging the ECAM and systems. The A380 is really a marvellous beast. Well done to you and your crew and thank you for an engaging tale. Hi Richard, Congratulations on an AMAZING job successfully landing the giant airbus. I haven’t actually read the book yet – I live in England – but from the news stories I read, and the blogs etc, you coped marvelously well with the whole situation, and the rate it all occurred. Just wondering really, if/when the book is likely to be released in hard copy in the UK? If not I’ll buy the electric copy. P.S The photos are incredible, and really enhance my desire to become a professional Pilot, rather than an engineer – which is what I am currently studying at Uni. Hi Arthur, Thanks for the kind comments. Purchase an autographed paper copy of QF32 via this site. You can have it in your hands in just a few days (in the UK). It’s not often that you find a non-fiction book that you can’t put down, I finished it in two days. Makes my 15 years in RN submarines look pretty simple!! Got the book for fathers day and could not put it down. What a fantastic read. Unbelievable what you guys went through. Those are incredible pictures! I hope I can get your book here in the United States via Amazon.